I make intimate, abstract acrylic paintings on rectilinear and vertical oval panels that synthesize oblique references to the body and the landscape on both macro and micro levels through form, color, and material. 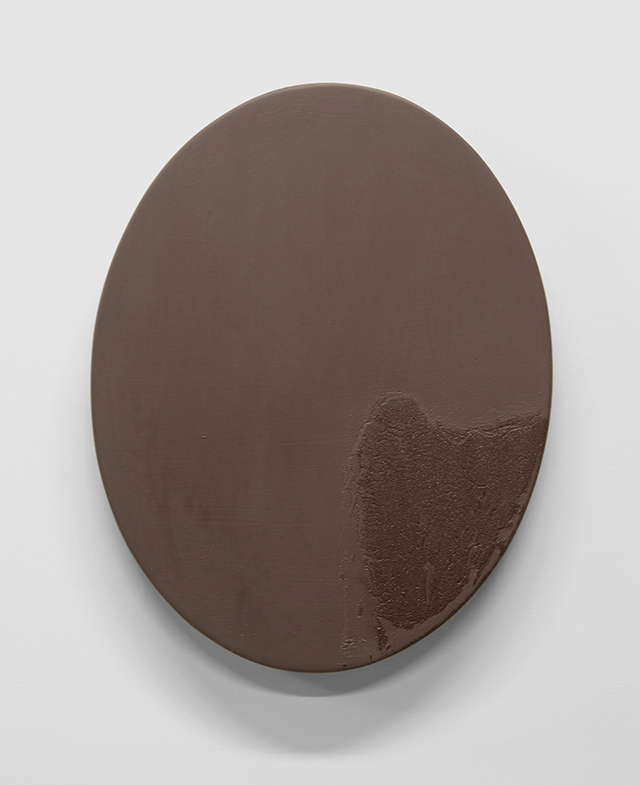 My poetic material language negotiates and exploits the opportunities and exigencies of the paint and is increasingly informed by my early experience with the materials, processes, and techniques of ceramic sculpture. 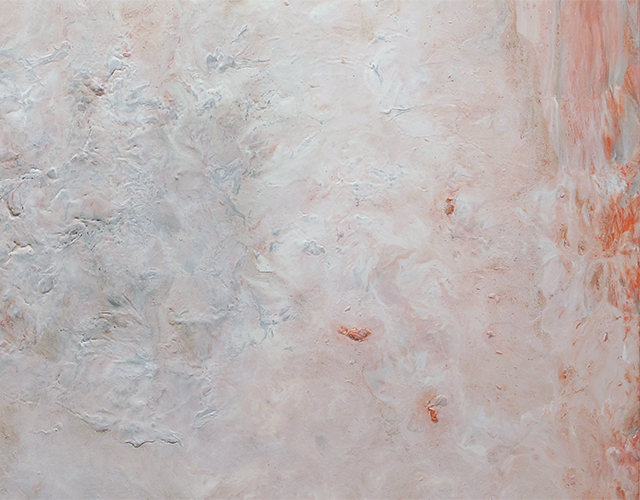 Over the past few years I have gradually expanded my practice from a process of slowly building paintings over time by the deliberate situating of painted marks on a monochromatic ground, to include the possibility of working in a very immediate, improvisational way, with an entire painting occurring simultaneously in the still-liquid matrix of the ground. I am interested in paintings that take chances, paintings that surprise me, paintings that may even feel transgressive within the scope of my practice, paintings that change me. I don’t necessarily know where a painting will go when I begin, and often I have one chance at a painting before it’s arrested by the paint drying — I love the risk, that it can be all or nothing, and that I can’t necessarily see how a painting will ultimately resolve until it has dried completely. I can’t remember a time when I didn’t love making things, including art, or a time when I didn’t take that seriously. But I would date my intention to become an artist in the sense of art as a life and a profession to art classes I took on Saturday mornings for six years at a local art association, beginning when I was seven. The classes were taught, or faciliated, in an open studio format in a former one room school house by two artists, a painter and a sculptor. The class included students from elementary school age through high school. There were no class assignments; each student worked on projects of their own choosing and interest, at their own pace. Our teachers supported and respected us. The five year BA/BFA program at Tufts University and the School of the Museum of Fine Arts, Boston forced me to navigate two profoundly different, even contradictary cultures, and to negotiate the relationship of academic disciplines to art-making. While this gave me an understanding of the possibilities for interaction between art and other disciplines, more importantly it gave me an appreciation for the unique position of art as a means of accessing, investigating and articulating things that can’t be done in any other way. Art is often valued by institutions as a support for or appendage to other disciplines, but I experience it as a primary discipline that is valid and complete in its own right. This is utterly fundamental to my work as an artist. I think about the simultaneously residual and latent qualities of the hand made art object — its double role as the record of the maker’s experience and the basis for the viewer’s experience — and the continuing relevance (or even possible radicalness) of that in technologically-mediated contemporary life. What does it mean to be painting, to be making unique artworks in an era of digital imagery and replication? Creating a visual illusion is rarely a foregrounded consideration for my work, and I am interested in paintings which, although not dependent on illusion, read nonetheless as paintings and not objects. The locus of the effect of the work is within the viewer, not the painting: the exposed directness of my painting corresponds to the immediacy of the viewer’s connection with the work. The direct, sensual intimacy of the material, the marks and the facture of my work invite the viewer into that experiential dialogue. I am more interested in the internal scale of the viewer’s experience than the physical scale of the work. Chuck Close also said, “All the best ideas come out of the process; they come out of the work itself,” and that really sums up my motivation: I have a need to find things out, to see where things lead, to dig deeper, and then to transmit that into the world. • revisiting the paintings by Chaim Soutine at the Barnes Foundation in Philadelphia. • Simon Blackmore’s “Weather Guitar” in Simon Blackmore: Three Sound Works at the Aldrich Contemporary Art Museum in Ridgefield, CT.
• Karlheinz Stockhausen interviewed by Hans Ulrich Obrist in Obrist’s book A Brief History of New Music. • the Museo Archeologico Nazionale d’Abruzzo in Chieti, Italy, in particular the pre-Roman Penna Sant’Andrea funerary stele and “Warrior of Capestrano,” displayed in a room designed for it by Mimmo Paladino. Gutai: Splendid Playground at the Guggenheim Museum, NY. Two of my lifelong passions, which also inform my studio practice in different ways, are reading, and spending time in nature — walking, camping and watching natural processes. My husband and I have lived in the coastal town of Beverly on Massachusetts’ North Shore since 2001. There are two libraries a few blocks from our home: the public library and the library at Montserrat College of Art, which is open to the public. While much of what I read relates to art in some way, I enjoy a wide array of both fiction and non-fiction. As Gary Snyder wrote in The Practice of the Wild, “Each place is its own place, forever (eventually) wild. A place on earth is a mosaic within larger mosaics — the land is all small places, all precise tiny realms replicating larger and smaller patterns.” We are located within the Salem Sound watershed — it’s about a half-mile walk to the beach from our home and studio — in the post-glacial Southern New England Coastal Hills and Plains ecoregion. Looking at the ocean throughout the year, I watch the way it changes in different light and weather conditions, and the nuance of that. And by walking the same trails year round, visiting the same places, I see how things change through the seasons and over time. The ocean and the landscape train my eye. 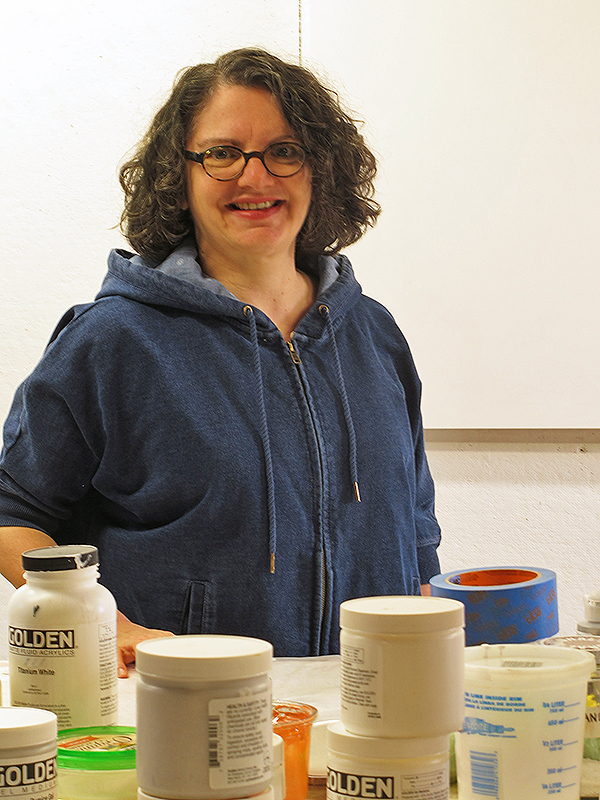 Mary Bucci McCoy grew up in the greater Philadelphia area and now lives and works on the North Shore of Massachusetts. Recent honors include a 2012 Massachusetts Cultural Council Painting Fellowship, nomination for the 2013 Brother Thomas Foundation Fellowship, and selection for the White Columns Curated Artist Registry. 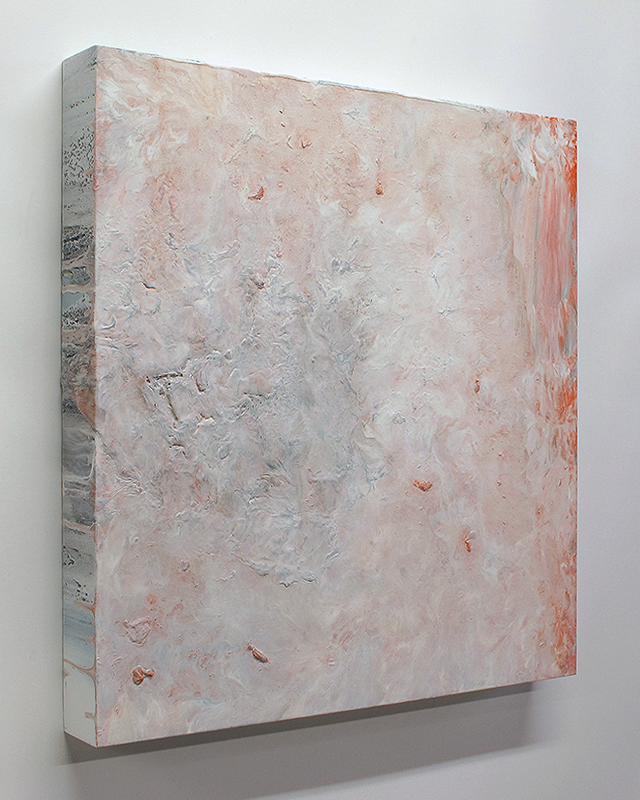 She has exhibited at venues including Kingston Gallery, Boston, MA; Rhode Island College, Providence, RI; the Artists Foundation, Boston, MA; Montserrat College of Art, Beverly, MA; Salem State University, Salem, MA; Tiger Strikes Asteroid, Philadelphia, PA; AG Gallery, Brooklyn, NY; Southern New Hampshire University, Manchester, NH; Art Complex Museum, Duxbury, MA; Merrimack College, Andover, MA; and Emmanuel College, Boston, MA. Her work has been reviewed in publications including The Boston Globe, Art New England, The Providence Phoenix, and the Providence Journal. She holds a BFA from Tufts University/School of the Museum of Fine Arts, Boston and a BA in English from Tufts University. She has also studied ceramic sculpture at l’École des Arts Decoratifs in Geneva, Switzerland (now Haute École d’Art et de Design Genève). 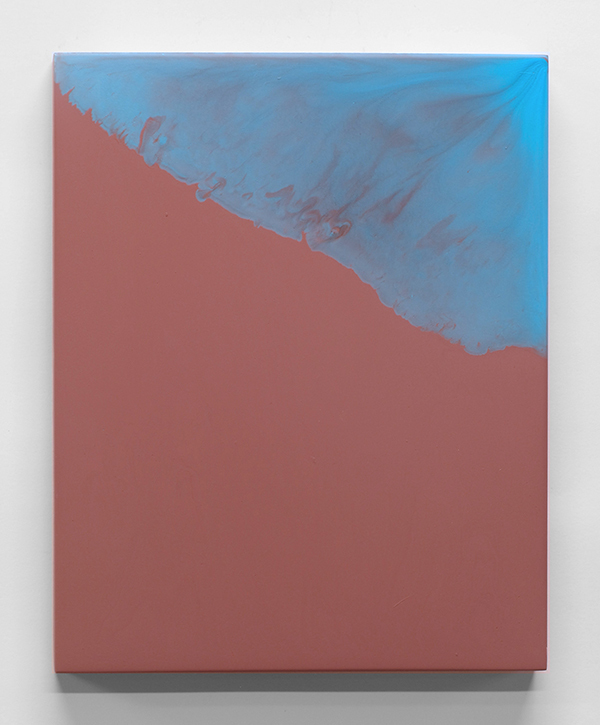 This entry was posted in Uncategorized and tagged Abstraction, Boston, bucci mccoy, paintings. Bookmark the permalink.